Before Street Fighter IV and fighting back Mega Man fans, Seth Killian was a fighting gamer, making waves in tournaments and an being an all-’round cool guy. 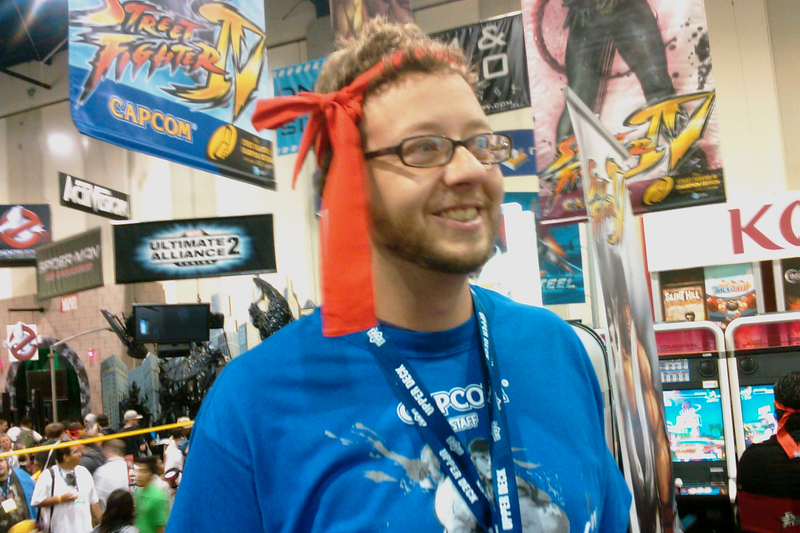 Last week Sunday, Seth Killian announced that he would be leaving Capcom. And now it’s been announced that Seth has been hired by Sony as their Lead Designer and will be working with Sony Santa Monica, and by extension Superbot. In an interview with Kotaku, Seth mentions that his role as Lead Designer means working with multiple, “External” developers. When questioned if that would be counter-intuitive with what he’s known for, he clarified that it was the he was “Happy to say it’s just the opposite…” and that Superbot, the developer of Playstation All-Stars, fits the bill of External developer. He says that he’s more interested in the mechanics of game design and will be bringing his expertise to the projects assigned to. So when Sony said they were bring in fighting game experts to develop PSAS, they weren’t kidding. This entry was posted in Gaming News and tagged Capcom, playstation all-stars battle royale, Seth Killian, Sony, Sony Santa Monica, Superbot on July 2, 2012 by Steven T..
I’m trying to buy a new game for my hubby… what game would you suggest? He likes action games. Let’s see… Bayonetta, Vanquish, Castlevania: Lords of Shadow, Lollipop Chainsaw, No More Heroes… There’s a bunch to choose from. You can check out respective reviews sections to see what he might like.